If a target folder was selected in the general settings, the ID of the target folder is entered automatically. Here, a data field can be selected that provides the Drive ID or Folder ID. A field from the User Manager can be selected that provides the Drive ID or Folder ID. 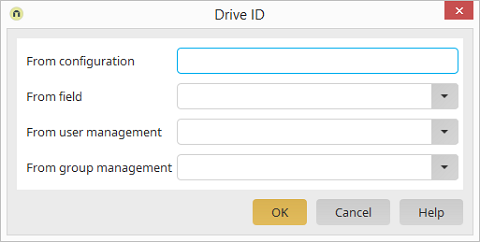 A field from the group management can be selected that provides the Drive ID or Folder ID.